Reishi mushroom is a fungus that some people describe as “tough” and “woody” with a bitter taste. 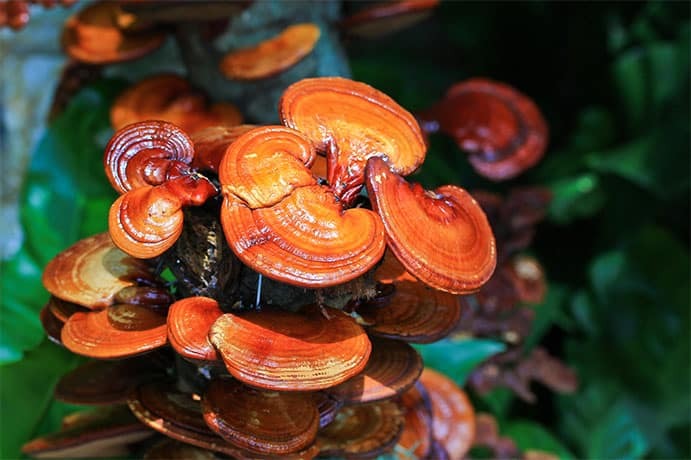 A highly regarded and widely used staple in Eastern and Asian medicine, Ganoderma lucidum — or the reishi mushroom — has a history as long as the current fanfare is wide. For over two millennium this traditionally omnipotent fungi has been regarded in China as the “herb of spiritual potency” being produced for its pharmaceutical benefits rather than as a culinary delight.Wachtel-Galor, S., Yuen, J., Buswell, JAA., and Benzie, IFF. (2011) Herbal Medicine: Biomolecular and Clinical Aspects. 2nd edition. Chapter 9 Ganoderma lucidum (Lingzhi or Reishi): A Medicinal Mushroom. [Accessed July 30, 2018]. >> Looking to Buy Reishi Mushroom? 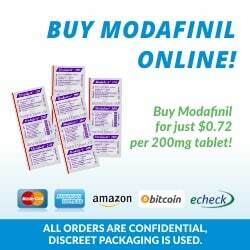 Click here to see our recommended sellers. In recent years, the reishi mushroom has found global pre-eminence because of its reputed, extraordinary health benefits, and is dished up in a variety of forms from supplements to powders, tea to tinctures. But with an expanding range of supposed “superfoods” it becomes increasingly difficult to decipher the truth. So let’s deep dive into the world of the reishi mushroom and discuss the most significant health benefits based on the facts and scientific research, including the numerous ways this ancient fungi can supercharge your cognitive performance. 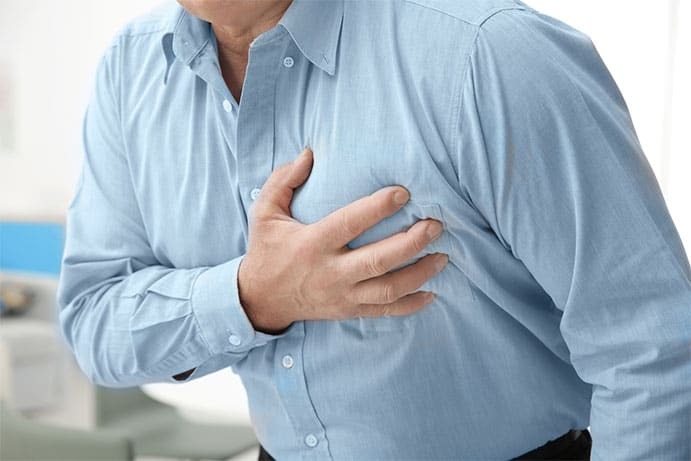 Cardiovascular problems are amongst the leading causes of mortality. As the rampant diseases that fall under its ominous umbrella continue to touch more lives, including those of younger people, we desperately need evidence based ways to support our heart health. 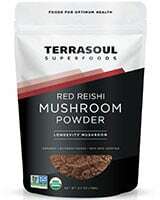 Reishi mushrooms come to the fore and its extract can support cardiovascular health through a number of mechanisms. Cardiovascular diseases (CVDs) are the number 1 cause of death globally. The blood vessels in the brain are affected by the underlying processes that damage the blood vessels in the heart. So, by protecting our cardiovascular system through diet, exercise and nootropics, we can shield and enhance our cognitive abilities. 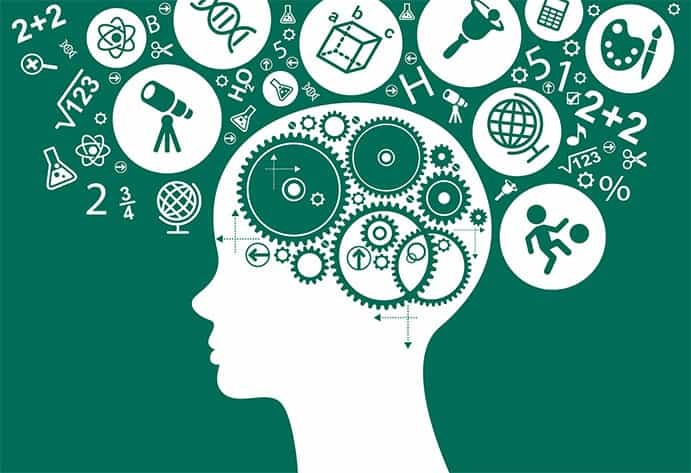 Interested in enhancing your cognitive abilities; of safely biohacking your brain function? This is where the reishi mushroom gets exciting! For our brain to function with the dial turned to full, our mitochondria — the cells energy powerhouses — must function well. Otherwise, it’s like trying to win Bathurst with one foot tapping the accelerator and the other planted firmly on the brake. Extracts of reishi mushrooms can stimulate cognitive activity and display certain neuroprotective effects. In humans, the brain accounts for ~2% of the body weight, but it consumes ~20% of glucose-derived energy making it the main consumer of glucose. In short, our brain uses energy and lots of it! But to be capable of easily producing the energy needed to remain in the zone, the cell membranes must exist with a low toxin load. Otherwise, energy production is compromised. 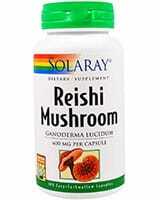 Reishi mushrooms support membrane detoxification and mitochondrial health,Eliaz, I. (2014) An Integrative Approach to Enhancing Cognition and Executive Brain Function: A Personal Perspective. Alternative and Complementary Therapies. Vol. 20, No. 1. [Accessed Aug 2, 2018] in turn, leading to increased energy production and focused cognitive function. 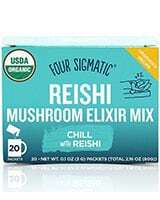 Add to this the potential enhancement to the brain’s blood flow from the improved cardiovascular health just discussed, and we can think of reishi mushrooms as a cognitive conditioner, keeping our neurons subtle and our energy high. Stress brings a multitude of adaptations to the body, designed simply to aid survival in times of crisis. If the proverbial sabre tooth tiger was to spring out and attack, your body would instantly shift gears to a sympathetic focus to provide you with two choices: fight or flee. The functions that are needed in that moment — blood flow to the muscles, hypervigilance, finding potential escape routes — are heightened. And the energy required for these tasks is rerouted from those that are not critical to immediate survival — like digestion, reproduction, and considering difficult problem-solving and higher cognitive functions. This is as it should be. However, when the stress becomes chronic like it has for many modern cavemen and women, the biological and cognitive toll runs high. Yet, reishi mushrooms offer an adaptogenic answer. The triterpenes contained within this fungi may calm the HPA axis-mediated regulation of our neuroendocrine systemMehta, S., Dang, R., Nayeem, N. (2015) Potential Clinical Benefits of Adaptogens or Resisogens in Stress Related Disorders. International Journal of Medical and Applied Sciences. Volume 4, Issue 3, Pages: 281-301. [Accessed Aug 3, 2018] and bring with it a return to the parasympathetic dominance needed for sustainable health, optimal performance, and to execute the cognitive dance required to fire on all mental cylinders. One of the chief benefits of the reishi mushroom lays in its ability to boost and support the immune system. 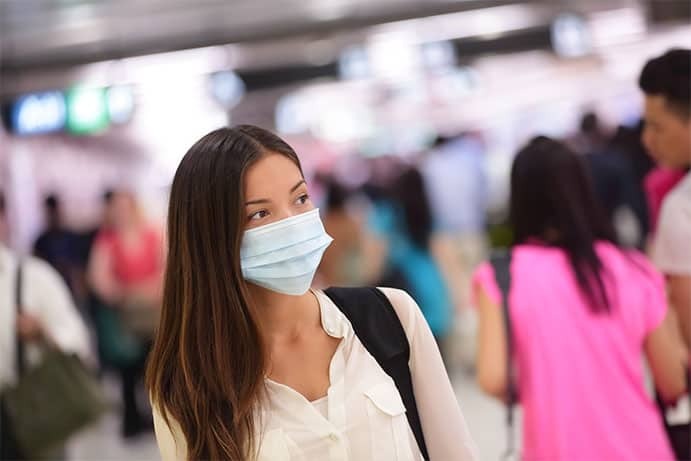 This power comes from its array of chemicals and molecules known to elevate the activity of our natural killer cells, a type of white blood cell that fends off invasion. As we age, the steady decline of our immune system opens the door for infection and inflammation. Similar to its effects on natural killer cells, reishi mushroom extract also proved effective in enhancing lymphocyte (white blood cell) function in athletes, with the purpose of combating the infections more common in those who undertake serious training. Systemically, proper functioning of the immune system is critical for maintaining normal nervous system function. Disruption of the immune system functioning leads to impairments in cognition and in neurogenesis. The fifth potentially life transforming benefit of the reishi mushroom is its ability to fight aggressive cancers, especially when these cancers are considered inflammatory. With its anti-inflammatory and immune supporting properties, reishi mushroom extract is able to suppress cell adhesion and cell migration in cases of invasive cancers, especially in prostate and breast cancers.Sliva, D. (2003) Ganoderma lucidum (Reishi) in cancer treatment. Integrative cancer therapies, Issue: 4, Volume: 2, Pages: 358-364 This means it may offer hope for those who most need it. 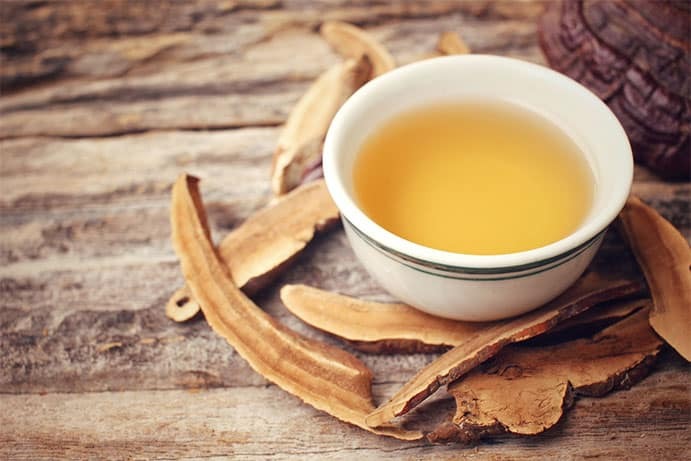 Scientific studies have concluded that this natural extract has the power to destroy cancer cells.Chung, WT., Lee, SH., Kim, JD., Park, YS., Hwang, B., Lee, SY., Lee, HY. (2001) Effect of mycelial culture broth of Ganoderma lucidum on the growth characteristics of human cell lines. Journal of bioscience and bioengineering. Issue: 6, Volume: 92, Pages: 550-555 This may not be surprising considering the antioxidant properties of reishi mushrooms, including its polysaccharide and triterpenoid content. By protecting our cells from damage and free radical assault, reishi mushrooms may prevent cells from developing dangerous anomalies. In cases when cancer has already developed, the properties of reishi are able to slow growth and prevent these cancerous cells from reaching out their tentacles and spreading to new tissues. Reishi mushrooms have specific cancer-fighting properties, but with further research needed, these potent fungi are recommended not as replacement therapy but rather as an additional bow in the conventional treatment armoury. These top five benefits of reishi mushrooms are supported by scientific research. However, there are many other conditions for which this not-so-humble mushroom may help and it would be remiss of us to keep these secret. From those with the need for further research, to the conditions supported by anecdotal adoration, reishi mushroom is worth considering in:REISHI MUSHROOM: Uses. WebMD.com. Available at: https://www.webmd.com/vitamins/ai/ingredientmono-905/reishi-mushroom [Accessed July 26, 2018]. The reishi mushroom has been renowned for over 2000 years, with a scientifically established potency against some of today’s greatest killers and a long standing history of safety. Based on the scientific data, especially in regard to cognitive function, stress reduction, cancer support, immune enhancement, and cardiovascular health, the healing power of this fungus means it ought to be in the medicine cabinet of every Australian. Originally posted on August 19, 2018, last updated on December 7, 2018. 1. ↑ Wachtel-Galor, S., Yuen, J., Buswell, JAA., and Benzie, IFF. (2011) Herbal Medicine: Biomolecular and Clinical Aspects. 2nd edition. Chapter 9 Ganoderma lucidum (Lingzhi or Reishi): A Medicinal Mushroom. [Accessed July 30, 2018]. 11. ↑ REISHI MUSHROOM: Uses. WebMD.com. 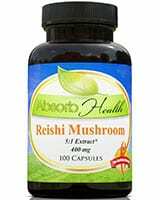 Available at: https://www.webmd.com/vitamins/ai/ingredientmono-905/reishi-mushroom [Accessed July 26, 2018].